We are dedicated to connecting Veterans, Teachers, Police and Firefighters with businesses and organizations who provide resources and services for our heroes. Duty – Just as our heroes answered their nation’s call of duty, we believe it is our duty to preserve their stories for future generations. Honor – We believe that our heroes deserve to be honored by all those they protect, educate and liberated. Sacrifice – Our heroes have sacrificed so much to secure our liberties, education and safety, and they deserve to be remembered for those sacrifices. Preservation – The heroes who have served us in so many ways deserve to have their actions preserved and immortalized. OUR GOAL - Educate and raise awareness among the general public about heroes who have served on their behalf by promoting the values of duty, honor, sacrifice and preservation. Scott Balsiger founded Hometown Hero Project due to his close affiliation with the Military and the American Legion. 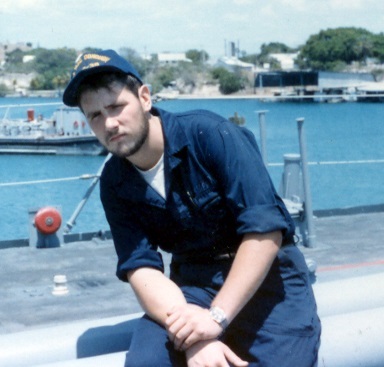 Scott enlisted in the U.S. Navy serving on the USS Macdonough DDG39 and the USS Hunley AS31. 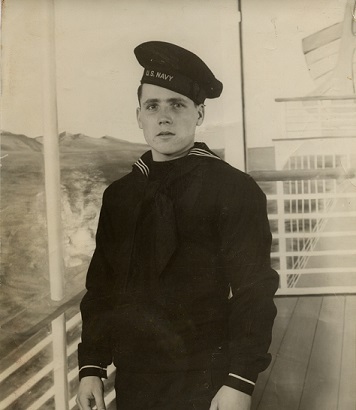 After transitioning back to civilian life Scott joined the Blackduck American Legion were his father, William Balsiger, held the position of Commander for two terms. His Grandfather, Roy Balsiger was also a past Commander of the Legion. The American Legion, Disabled American Veterans and Fleet Reserve Association are organizations that Scott is a member of. The American Legion, Disabled American Veterans and Fleet Reserve Association are organizations that Scott is a member of. Scott felt there was a need to keep alive the stories of America’s Veterans, telling the story of how they often made the ultimate sacrifice to our country. Hometown Hero Project has written over 1700 Hero stories and is broadcast in over 500 Veteran clubs across America. Our programming provides entertainment and news that Heroes and their families enjoy everyday. Scott is also on the board of directors of Vans For Veterans, a 501c3 non profit (http://vans4vets.org/). Vans For Veterans is committed to providing mobility vans free of charge to Veterans Clubs across the nation. 100% of all donations go directly to V4V, and all staff and board members are volunteers. The need for these mobility vehicles and services is increasing drastically with all of the wounded Veterans returning home and the rapid aging of older Vets. Many clubs do not have a properly fitted vehicle to take service members to the VA hospital, or any of their necessary medical appointments.